What if you actually looked forward to going to work? Smitty’s is a workplace that is always rewarded with immense satisfaction. In 1945, Smitty started the business but it’s our team that has built the business. We’re a fun, energetic shop with a focus on customer happiness that provides an awesome way of life for all of us. If you’ve got what it takes we believe that as a team we can take it to the next level. 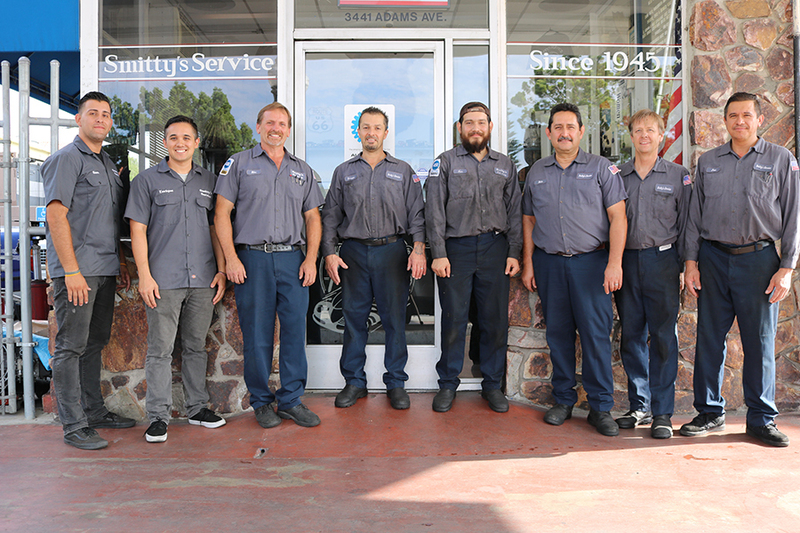 Here’s your chance to work with the coolest auto shop in San Diego. Here at Smitty’s Service we’ve built our business around happy employees making happy customers. We believe in having fun, being creative, and enjoying every aspect of life. Learn more about your specialty by pressing one of the buttons below. If you're really inspired you'll find an interactive employment application.